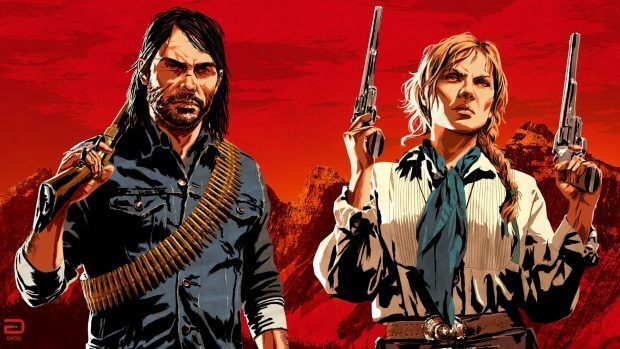 All sorts of cool secrets and references pay respect to other productions of the same medium of video games and even outside it including films and popular myths in Red Dead Redemption 2. 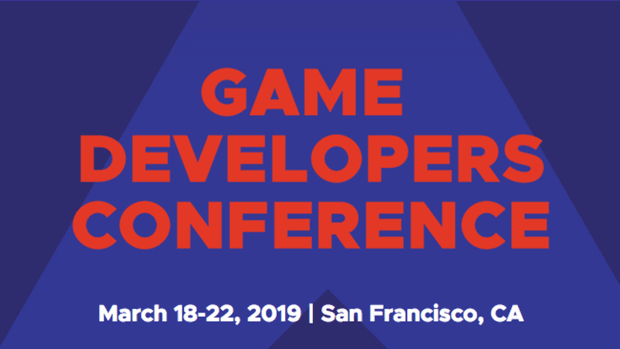 If you’re a culture geek and have some time to sidetrack from the main path, you’re in for a treat. Read below on how to find each of the Easter Egg, secrets, and references in RDR2. When you diverge from the main route, you can find yourself encountering incomprehensible stuff that has the capacity of sending chills down your bone. 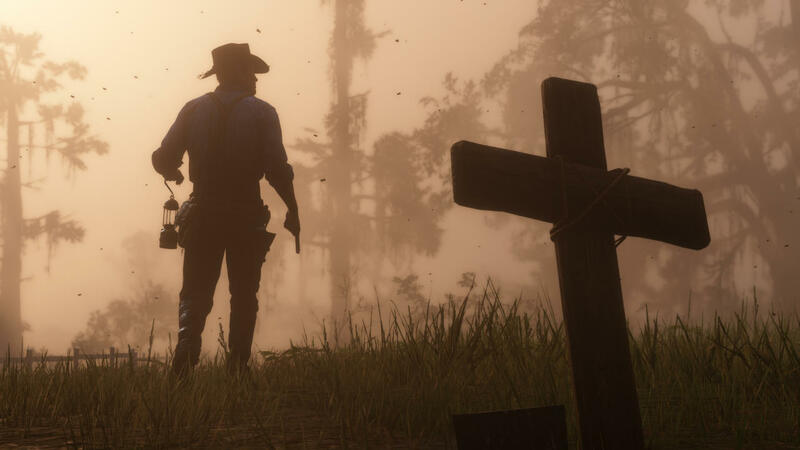 Although there are odes here and there to iconic films, RDR2 references its previous video games as well as messes around with some of the common myths the world is aware of. As you complete the main campaign, not all your comrades of the gang make it alive. There’s an emotional objective at the end where you need to head to each one of the nine graves that you can reach by following the clues from your pals’ respective journals. We’ve still put together a Graves’ Locations Guide for all the locations for your ease. If that name sounds familiar, that’s because Bully was released under that title in the EU. During the side mission “The Noblest of Men and a Woman”, you have to undergo some brutal duels with different guns. 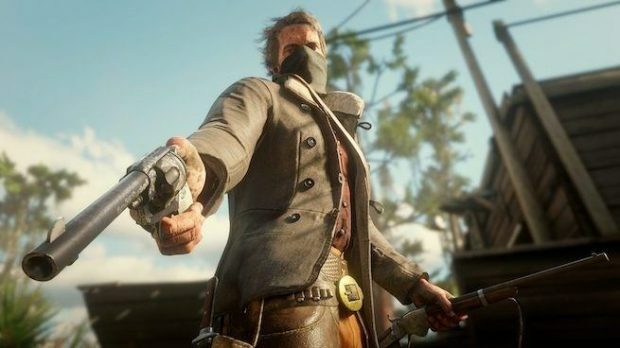 When you get to the final duel, you’ll be operating a revolver that has the EU title for Bully engraved on either side. That’s definitely a reference to the game, alright. 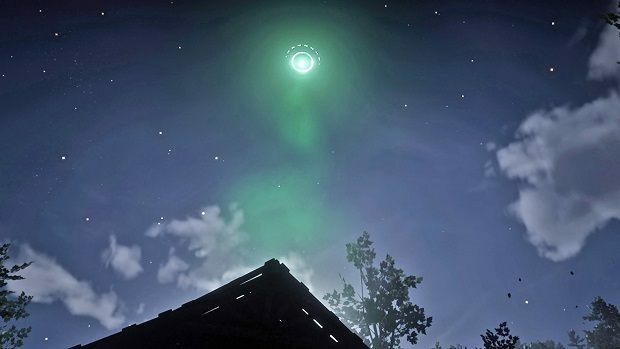 Yes, there are two UFOs in the game just like there were multiple ones in GTA V.
For the first one, head to Hani’s Bethel Shack which lies north of Emerald Ranch. Inside, you’ll observe the instructions for viewing the UFO which will be somewhere along the lines of “2 AM” and “half-moon”. Following the instructions, when you’re at the barn during the night and on the 15th of a month, you’ll see green flickering light from inside the barn. Head outside and you catch a glimpse before the UFO vanishes. The second UFO can be observed more clearly and hovers in the distance at Mount Shann at 2 AM. Heading to the Meteor House south of Abandoned Trading Post west of Roanoke Valley in Northern Annesburg, you will encounter a building that is charred. Inside, you’ll see dead bodies of some victims of a meteor attack along with the meteorite itself. You can sell it for a decent profit if you’re not into keeping a collection of antique stuff. East of Donner Falls, Ambarino, you’ll encounter a creepy place by the name Witches Cauldron. Here, you can search chests but most importantly consume a mysterious liquid that causes you to pass out instantly. As you come back to your senses, you find yourself in a location far away from it. Who knows what will be the after-effects of the liquid? We’ll have to wait and see. A strange puzzle accompanies a statue in the cave north of Mysterious Hill House. Complete it and you earn a decent $1500. Full details and instructions on how to solve the puzzle can be found in Stranger Statue Puzzle. The Mysterious Hill House west of Donner Hills bears striking similarities to Bilbo Baggins’ house from the Hobbit or Lord of the Rings series. Not everything from its structure to the grassy exterior and the small entrance door can just be a coincidence. East of Kamassa in Lemoyne, exploring the forests, you can observe a giant red snake hanging from a tree. This may be a reference to Kaa from The Jungle Book series bearing some resemblance with its style and color. Extreme south of Rhodes west of Braithwaite Manor, there’s a small cabin with a crescent symbol that’s chained up. Peering up inside, you can actually observe a possessed woman counting numbers in a creepy manner. This is a reference to the cult classic, The Evil Dead and its horror tropes. When you search for ten mysterious Rock Carvings around the map in “Geology for Beginner’s” side quest, you’ll notice a birthmark on the quest giver, Francis Sinclair. Upon returning back, you find out that strangely, Francis has been dead for a year, yet his child carries the same birthmark that he had. This might be a reference to the time-traveling belief that was put forth in GTA V in the show, “Epsilon Program”. 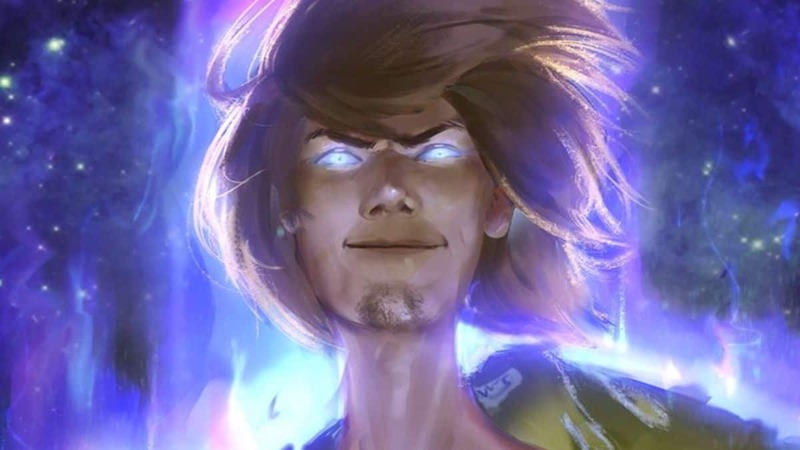 According to the prophecy, Kraff, the 4th Paradigm Emperor, is capable of time traveling and holds the same birthmark as Francis and his son (or a younger version of himself?). While exploring the wilderness, you’ll come across a gruesome scene of some mutilated corpses. Following up on the three map pieces as clues, you’ll be led to a psychotic serial killer’s location: Lucky’s Cabin in Valentine. There, in the basement, after observing a bunch of skulls and human flesh, you’ll encounter the serial killer himself. He’s named Edmund Lowry, a name that resembles that of a serial killer in GTA IV, Eddie Low in Liberty City who loved beheading some innocent people. This must be an acquired trait within the family, right? This is where the guys at Rockstar Games might’ve said; let’s have a little fun with what was presented to the audiences before. Fans of the series might remember the hilarious glitch in the original Red Dead Redemption where we were treated to a donkey-and-woman hybrid of a specie. RDR2 addresses and makes fun of that in a way. Situated south of Armadillo, you’ll find the same donkey woman (or woman donkey?) pinned to the Wheel of Pain. Tragic, indeed. After you’ve studied about 30 different animals, you can head east of Wapiti Indian Reservation where you’ll see a strange flock of birds, almost abnormal ones. Follow them to reach the hideout of a giant who you can only hear talking about the nature of humans. You can find another reference to this giant or presumably the famous Bigfoot, Sasquatch that has previously been in GTA 5. For it, head to Mount Shann and you’ll be able to make out a skeleton of supposedly the same giant. There’s a building west of Van Horn Trading Post, which you can only enter through the window on the second floor as all other entrances are blocked. Use the cart and hop onto to it to climb up to the window and inside the house. Accompanying the scary inactive mutant, you’ll observe some notes that shed some light on the creature’s nature. When you’ve completed “Marco Dragic” side missions in RDR2 and all the other character missions, you can encounter the world’s first ever robot on a mountain peak west of Colter. Remember, Marco Dragic can be found in Saint Denis and Doverhill during nighttime. Although the Red Dread series became popular with Red Dead Redemption on previous gen consoles, the first installment in the series was actually Red Dead Revolver and its titular protagonist, Red Harlow. Even in RDR2, when you head to camps or saloons and listen to what people have to say, they will tell you the story of the brave Red Harlow. It is a subtle nod to what started it all. Speaking of callbacks, there are numerous mentions of Harold MacDougal, the famous prejudiced professor from the original Red Dead Redemption. You can listen to people talk about him or read about him in New Hannover Gazette. Fans of the Western genre must be familiar with the influential film, Assassination of Jesse James by the Coward Robert Ford, starring Brad Pitt. The iconic train robbery scene has been re-enacted in RDR2 during chapter 2. Moreover, it is framed in a similar fashion as well to that of the film. You may remember that Red Dead Redemption’s mechanics did not allow for John Marston to swim in any water body. Now, Rockstar Games have come a long way and the main protagonist can definitely traverse across water bodies even if it means swimming through. However, and SPOILERS to follow, when you play as John Marston in the epilogue, you’ll notice he can’t swim in order to maintain the continuity that ties latter into Red Dead Redemption.